to the pulpit and has given of her time and talent for the edification and growth of God’s Kingdom on earth. She is an active member of the Missionaries, Sunday school, Pastor’s Aide, Mass Choir, Class Leaders, and Ministerial Staff. She has been married for 53 years to Joseph Willis, and they are the proud parents of six beautiful children, Joseph Jr., David, Sonny, Tonya, Karen, and Jamaine. Rev. Willis works part-time as a nurse in long-term care. She is a 2015 graduate of Apex School of Theology with a B.A. Degree and is currently working on an M.DIV. She is passionate about being a committed and dedicated warrior in the Army of the Lord. Rev. Fredrick W. Pegues, married to Tina Pegues and father to five children, Fredrick Jr., Johnathan, Christina, Faith, and Hope. A graduate of Guilford Technical Community College with an Associate’s Degree in accounting. Currently General Manager for TWC Financial located in Greensboro, North Carolina. I truly believe that all ministry begins at home. I must be the Pastor in my household before I can begin to be Pastor anywhere else. I love God and believe that He is the reason for my existence. I once had someone ask me what I had done to deserve God’s blessing. I could not think of one reason why God should bless me but I could think of plenty of reasons why He shouldn’t. I serve with the understanding that God loves the unloved, heals the broken and forgives those that will not forgive themselves. My favorite scripture is Proverbs 21:1, The heart of the king is in the hands of the father and just like the rivers of water He turns them any way he wants. (My emphasis) It is my reminder that God is in control of all situations and all circumstances. I must let God be God! Rev. Karen Willis has a passion for serving others. She received her ordination as “traveling elder” under the late Bishop Thomas L. Hoyt Jr. and is presently on the ministerial staff at Reid Memorial C.M.E. Church in Greensboro, NC. She is an anointed vessel of God that has an incredible gift of ministering in song. She sings with both the Mass Choir and Gospel Choir at the church, and outside the walls of the church as a special occasion singer. Although Rev. Willis is a student in the Early Childhood Program at Guildford Technical Community College, much of her professional experience has been working as a Certified Nursing Assistant. As a caregiver, to witness a resident grasp a skill and smile, gives her great joy. Her motto is, “If I can help somebody along the way, then my living will not be in vain”. Min. 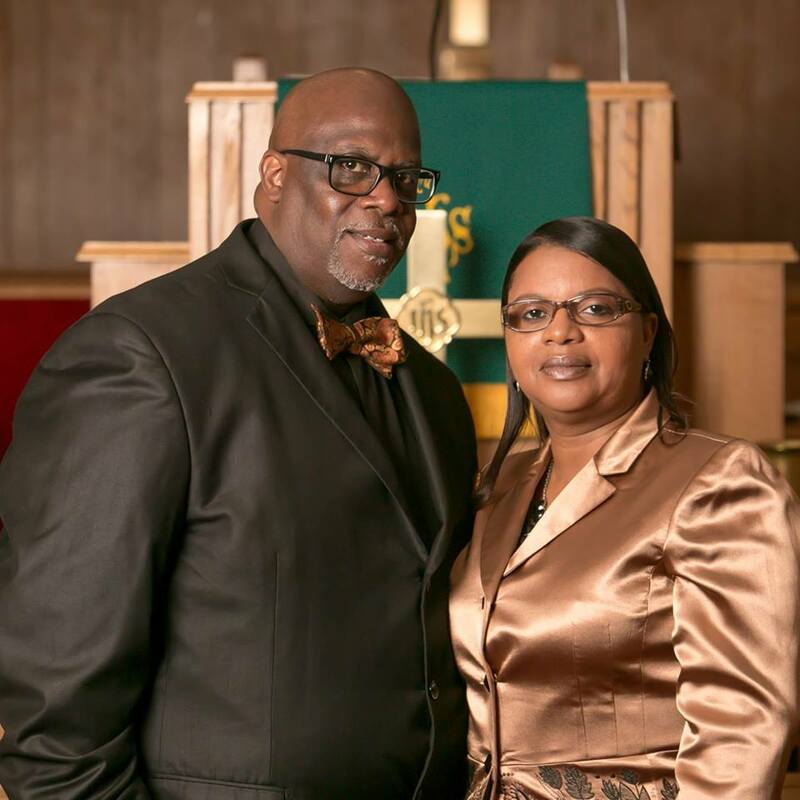 Tina Cheek Pegues married for 28 years to Rev. Fredrick Pegues. Mother of five wonderful children, Fredrick Jr., Johnathan, Christina, and twin daughters Faith and Hope. A graduate of Rutledge College with a concentration in Business Administration. I have been in ministry for approximately 25 years. I love the Lord and believe in His saving grace. I have a heart for the empowering and enlightening of our youth and young adults through the unadulterated word of God. I believe that the love of God can heal all broken hearts. By sharing and teaching the word of God with simplicity, I believe the Lord allows me to spread His love and healing power to the others that the Holy Spirit allows me to encounter daily.